Serenade your sweetheart with laughter. Sometimes the best medicine and the best gift is laughter. Hellokids has a funny collection of Valentine's jokes for you to dazzle your teacher, friends, parents and your beloved Valentine. 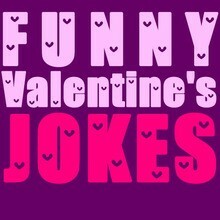 Just click on the icons for a few sweet chuckles below and discover the humor of the Valentine's Day holiday. You will be sure to deliver sweet smiles this Valentine's Day. There are other fun ideas and activities to discover for Valentine's Day on Hellokids. If you are looking for some creative Valentine's craft ideas and easy step by step Valentine craft video tutorials, adorable Valentine's Day coloring pages to color online or print to color at home, or Valentine's games to play online or print and play with friends at home, then you will find all that and more on the Hellokids Valentine's Day Channel. There is a lot of fun for children to have on Hellokids during the Valentine's Day holiday.